Happy December! 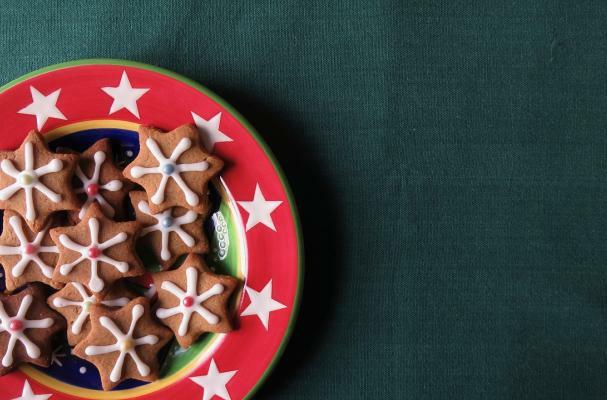 Today is the first day of "The 12 Days of Christmas Cookies" and I'm starting with my favorite European spiced cookie recipe. Stay tuned every day for the next 12 days for more wonderful Christmas cookie recipes! Speculoos cookies (also called speculaas) are traditional spiced biscuits from the gingerbread family and they’re ubiquitous in Belgium, Germany and the Netherlands. They’re also a popular snack to serve on U.S. flights, which is why they’re also known as “airline cookies” or “Dutch windmill cookies.” In Belgium, you can find speculoos in various forms - biscuits, puddings, tarts, macarons - year round (you could even call it their national cookie), but elsewhere in Europe they tend to be a Christmas treat and only appear in bakeries in December. If you love a nicely spiced cookie, this is the one for you! It’s loaded with pepper, cinnamon, cloves, nutmeg, cardamon, and ginger, but anise, mace and coriander also make wonderful additions. You can punch up the spice blend by adding more nutmeg and pepper (we love it this way! ), or milder by adding more cinnamon. I fell in love with speculoos in Bruge and now bake them every year during Christmas. They’re not traditionally iced, but it’s fun to cut them into gingerbread or other festive holiday shapes and give them a little color. In a large mixing bowl or in the bowl of a standing mixer add the softened butter and sugars and mix well. Beat in the egg, then add the water and continue to mix. Sift the flour with the baking powder and speculoos spices into the dough. Knead until you have a crumbly dough. Roll into a ball and cover with plastic wrap. Place in the refrigerator and let the dough rest overnight. Roll out the dough to about 1/4-inch-thick and cut with a cookie cutter. Place cookies onto a parchment lined baking sheet and bake for about 14 minutes. Press the center of a cookie and when it rises back, then it is ready. Let the cookies cool on the baking sheet before removing. Speculoos is still soft when it comes out of the oven, but they harden once cooled. Ice to your heart’s desire!